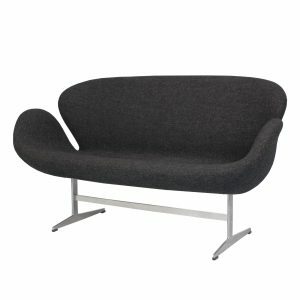 Tags: curve, curves, couch, Grey, modern, aluminum, settee, curved, Charcoal, wool, Arne Jacobsen, mid century, lounge, loveseat, molded. 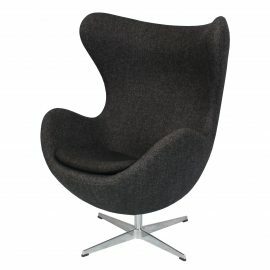 FormDecor offers a collection of settees! 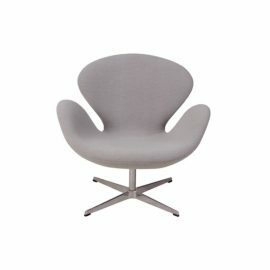 This settee is designed by iconic designer Arne Jacobsen best known for the SAS Air Terminal and the Royal Hotel Copenhagen. The Arne Jacobsen Swan Settee is upholstered wool fabric in charcoal gray and the frame is molded fiberglass with polished aluminum legs. 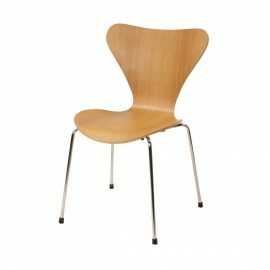 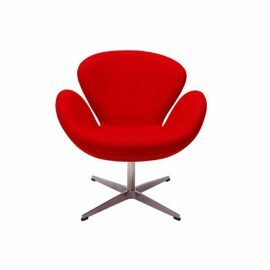 The Arne Jacobsen Swan Settee works well with any mid-century modern setting.